Nina Simone was born Eunice Kathleen Waymon in Tryon, North Carolina on February 21, 1933. Her mother, Mary Kate Waymon, was a Methodist minister, and her father, John Divine Waymon, was a handyman who moonlighted as a preacher. Eunice displayed a precocious musical talent at the age of three when she started picking out tunes on the family’s piano, and a few years later she was playing piano at her mother’s Sunday church services. Mary Kate worked part time as a housemaid, and when her employers heard Eunice play, they arranged for her to study with pianist Muriel Mazzanovich, who tutored Eunice in the classics, focusing on Bach, Beethoven, Brahms, Chopin, and Schubert. After graduating at the top of her high school class, Eunice received a grant to study at the Juilliard School of Music in New York City, and applied for enrollment at the Curtis Institute of Music in Philadelphia. However, Eunice was denied admission at the Curtis Institute under mysterious circumstances, despite what was said to be a stellar audition performance; Eunice would insist that her race was the key reason she was rejected. Determined to support herself as a musician, in 1954 Eunice applied for a job playing piano at the Midtown Bar & Grill in Atlantic City, New Jersey.Eunice was told she would have to sing as well as play jazz standards and hits of the day. While she had no experience as a vocalist, Eunicefaked it well enough to get the job, and she adopted a stage name, Nina Simone — Nina from a pet name her boyfriend used, and Simone from the French film star Simone Signoret. The newly christened Nina Simone was a quick study as a singer, and her unique mixture of jazz, blues, and the classics soon earned her a loyal audience. Within a few years, Simonewas a headliner at nightclubs all along the East Coast, and in 1957 she came to the attention of Syd Nathan, the mercurial owner of the influential blues and country label King Records. Nathan offered Simonea contract with his jazz subsidiary, Bethlehem Records, and the two were soon butting heads as the strong-willed Simone insisted on choosing her own material. Simone won out, and in 1958, she enjoyed a major hit with her interpretation of “I Loves You Porgy” from Porgy and Bess. The single rose to the Top 20 of the pop charts, but like many of Nathan’s signings,Simone did not see eye to eye with him about business details (particularly after she discovered she’d signed away her right to royalties upon receiving her advance), and by 1959 she had signed a new deal with Colpix Records. 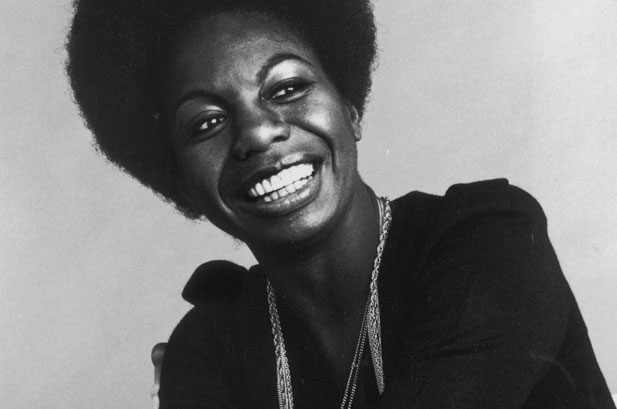 Nina Simone was one of the most gifted vocalists of her generation, and also one of the most eclectic. Simone was a singer, pianist, and songwriter who bent genres to her will rather than allowing herself to be confined by their boundaries; her work swung back and forth between jazz, blues, soul, classical, R&B, pop, gospel, and world music, with passion, emotional honesty, and a strong grasp of technique as the constants of her musical career who died on April 21, 2003.